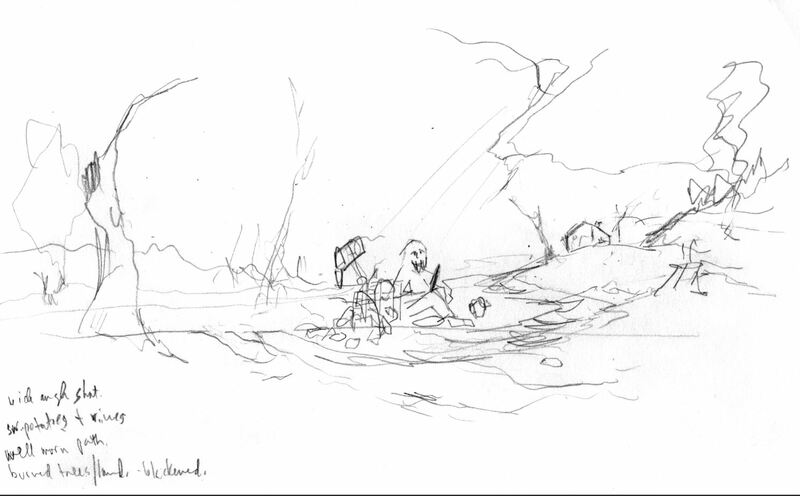 Every sunrise, Dave walked past blackened trees, down the scorched road to his mailbox. The latch squeaked open only to reveal the loneliness inside. After inspection, he firmly shut the box. He shuffled his feet back to his burned out shack. Time passed. His boots remembered his amble to his mailbox; his beard hid the disappointments of the empty contents. Each walk back lagged slightly slower than previous departure. Dave peered through the window, out to the wastes of what world was; what he had become. This was his last sortie. He trudged his path at dawn. .Dave pulled the latch without expectation. Inside, a glimmering dark bottle. Dave collapsed his back against the mailbox, grasping the bottle tightly, he popps off the top in a single motion. Eyes closed, his lips taste the beer. He looked up and sees a sliver of light carve through the coal sky. He was unsure if the moisture he felt on his eyes was from the rain or something else. Since we formed in 2015, we always thought that brewing a beer that could survive the Apocalyptic would a worthwhile project. We took careful consideration of the ingredients – these would have to survive the fallout in the event tiny fists hit the big nuclear launch button! The following ingredients are all radio-resistant – meaning they should be able offset mutations from a nuclear holocaust. Also – this beer is an old ale, which means it can be cellared for those long nights spent in your underground bunker! Kumara – New Zealand’s own sweet potato – and one of the most radio-resistant consumables known to man! Coconut – A nice tropical twist, also radio-resistant. Kelp – Gives beer a creamy mouthful, which is used to expel radiation. With the ingredients in hand – we know we needed something special for this. I actually wanted this to be a photograph instead of an illustration, so inpired by one of my favourite-artists-ever Lori Nix, I went in and constructed a model of ‘Dave’ enjoying the gifts from his penpal. In the end though, I felt it needed to show more Apocalyptic decay and destruction. While, nothing was ‘wrong with it’ – it was missing the perspective that it needed. So we shelved it on our trusty Trello board for the future. With Trump in office, this resparked our interest in our end-of-the-world brew. Late in 2017, I revisited our ‘Apocalypic Post’ idea. 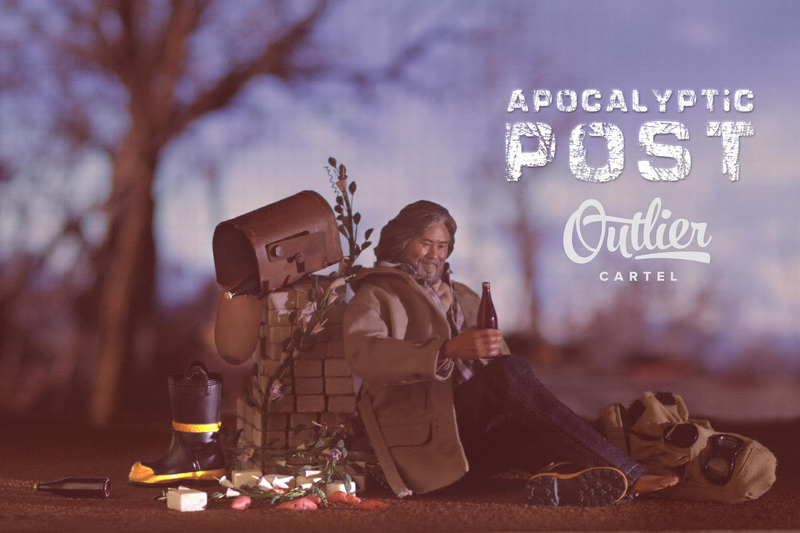 Since my original was ‘influenced’ by Lori Nix, I thought, why don’t I email her and see if she would be interested in working with a quirky little brewery based in New Zealand? Needless to say, all three of us were over the moon when she said yes. What was amazing is that she almost effortlessly got our concept with one of her first concept drawings. When we saw the concept, we knew we were in for something special. It was a go. 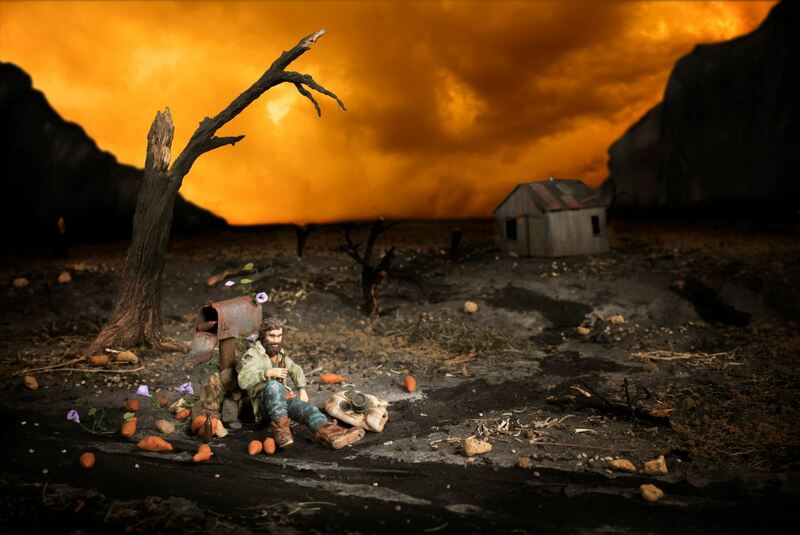 Lori and her partner Kathleen Gerber set out to create our ‘Post Apocalyptic Dave’ diorama. Kathleen choose a G scale model (1:22.5 scale ratio). From there they added all the end of the world goodness that you now see on the bottle – the burnt out trees, the scorched earth and ramshackle shed etc. The end product looked amazing! Apocalyptic Post – here’s to drinking the good stuff when the s*&^ hits the fan! We are proud to bring this beer to our fans, drink now or save for the when the big one hits – its our hope that this beer will make your time on earth just a little bit better! Thank you Auckland – Cloudburst is our city’s beer of the year! Drink Less, Enjoy Life More – Everywhere but New Zealand.